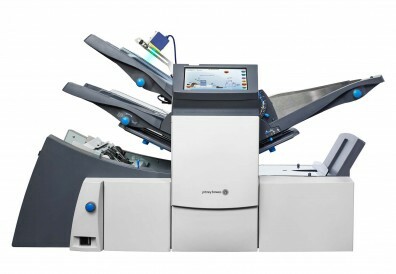 The Pitney Bowes 3000 inserting system from Pitney Bowes is built for low to mid-volume mailers, giving you flexible performance in your office environment. The Relay 3000 is ideal for common communications such as bills, statements and direct mail. Top of the line tabletop integrity options, such as 1D and 2D scanning, are available to ensure your customers receive the correct documents, every time. 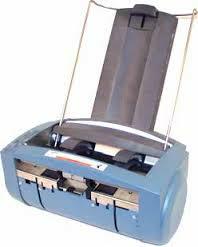 Configurable to your needs, The Relay 3000 folds and inserts up to 3,000 pieces of mail an hour. That's 12 times faster than by hand. With the optional full color 8-inch touch screen interface, you can finish your mailings quickly and easily. Load and run up to 20 pre-programmed jobs. That lets you get back to your business, feeling confident that your customers’ documents were sent out accurately and on time. 3 1/2" x 8 2/3" to 6 3/8" x 9 1/2"